This book is practically about Malcolm Champlin. Although it's a novel, the episodes and situations in the book were real history and based on Malcolm Champlin's own experiences. He was the character. Champlin was a naval officer who was the liaison with Gen. Wainwright in Bataan. 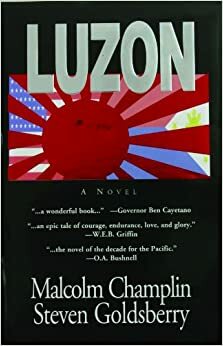 "This smashing novel of love and combat in the war-torn Philippines is based on a true story. Authors Malcolm Champlin (who fought in many of these battles) and Steven Goldsberry bring a rare mix of authenticity and glorious writing to this nearly forgotten and utterly harrowing chapter of World War II."